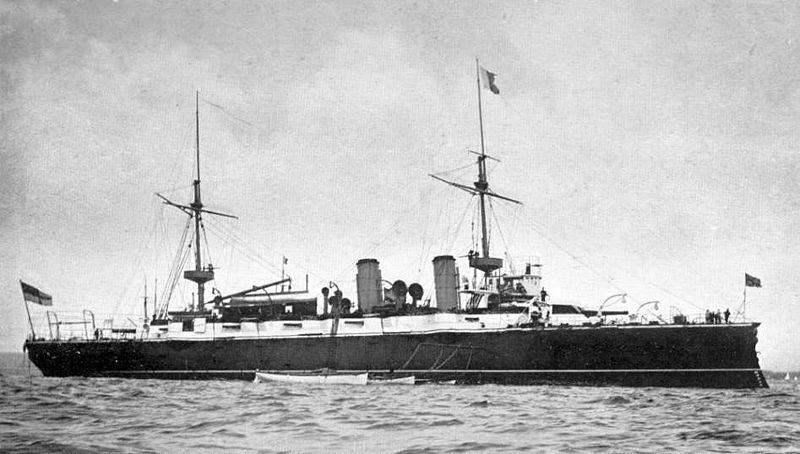 HMS Blake in the 1890, in typical peacetime livery, black hull, white superstructures and canvas sand funnels, masts and apparels. In 1914 indeed, the oldest 1st class cruisers in service were the two Blake, designed by William White from Chatham Dyd. 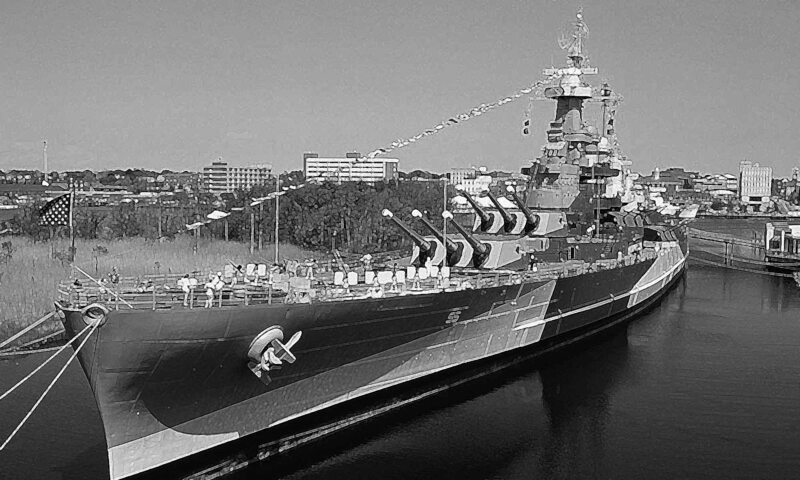 They were not a clear departure over the previous Orlando class at least in terms of armament and general layout but varied in many details and showed the way for the decade to come. 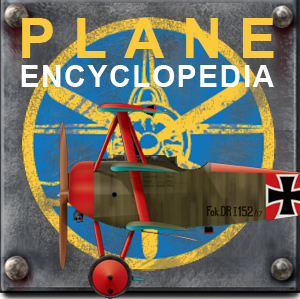 They preceded the Edgar class. Due to their age, however, both were partially disarmed and converted as depot ships from 1907 so their “participation” in WW1 was all but symbolic. 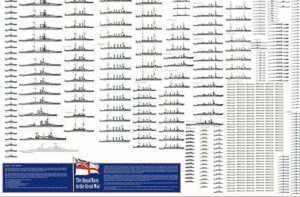 The 1886, 5600 tonnes Orlando would be not treated as part as the RN in ww1 (so postponed for an industrial era extension in future years) since all were discarded and sold before the war broke out in 1905-1907. These seven ships made for overseas stations, Australia, the Mediterranean, and China, were capable of 17 knots, and carried two 9.2 in (234mm) breech-loading guns, but mostly relied on ten 6in (152 mm) to do the bulk of the gunnery, although themselves were Breech-loading, therefore slow to load. All these guns were under masks, the 6in having some very long and roomy, almost turrets without backs, while the QF artillery of 6 and 3 pdr were all in barbettes and tops to deal with TBs. The two Blake were almost twice larger (9150 tonnes) longer, wider, and more than double the power and the coal supply to match, plus a rethought protection. They were in fact the largest cruisers built at that time. 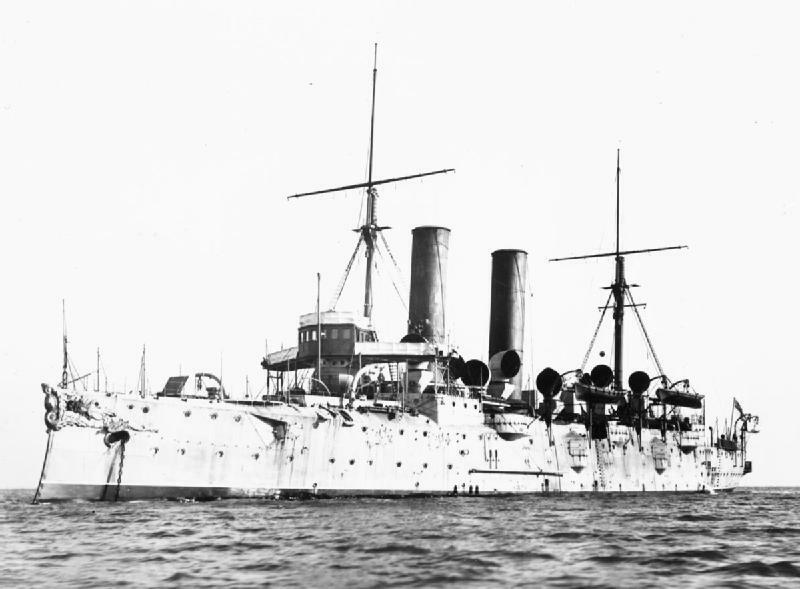 The HMS Blake was laid down in July 1888, launched 23.11.1889, completed 2.2.1892 and her sister-ship built at Thames Iron Works, Blackwall, was laid down in october 1888, launched 5.7.1890 and completed in 26.5.1894. 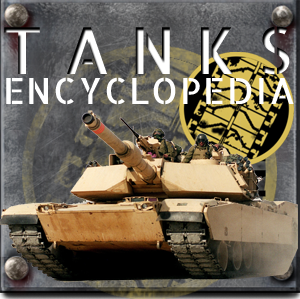 Their main feature was a full length protective deck, thicker (3-6 in instead of 2-3 in) while her gunshields were 4-1/2in, casemates 6in and conning tower 12in (305 mm) while on the Orlando the bulkheads were 16in thick (380 mm) and the belt 10in. 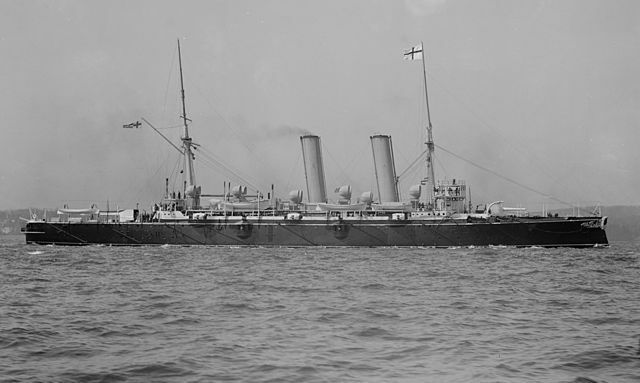 White’s design provided the Royal Navy with a “true” first class cruiser, much faster (20 knots) and with much more autonomy, seakeeping, and combination of armament of protection which fit the Admiralty bill for a long-range trade protection and fleet cruiser. While more than doubling the powerplant, horsepower also more than doubled, leading to a net gain of three knots. It seems not a lot for such power debauchery, but the displacement also almost doubled at the same time. Long story short, the Blakes had 2 shafts, each moved by two 3-cylinder triple expansion steam engines fed by 8 coal-firing boilers which produced 13,000 ihp (9,700 kW) in natural draught, and 20,000 ihp (15,000 kW) in forced draught, resulting in a top speed of 20 knots (37 km/h; 23 mph) in natural draught, and 22 knot (41 km/h; 25 mph) on trials and forced draught. Coal capacity was 1800 tons, allowing for a much longer range, but less than expected: 10,000 nautical miles (19,000 km; 12,000 mi) at 10 knots (19 km/h; 12 mph) instead of the 15,000 nautical miles (28,000 km; 17,000 mi) planned. Armament still remains close to that of orlando, but with a better distribution for defence against medium calibers. In particular two of the 6 in guns in side casemates were moved to the main deck and armoured casemates were generalized, which became White’s trademark for following ships. Both ships were built at Chatham Dockyard and Thames Ironworks respectively,the lead ships costing £440,471, usually more than her sister ship at £425,591. 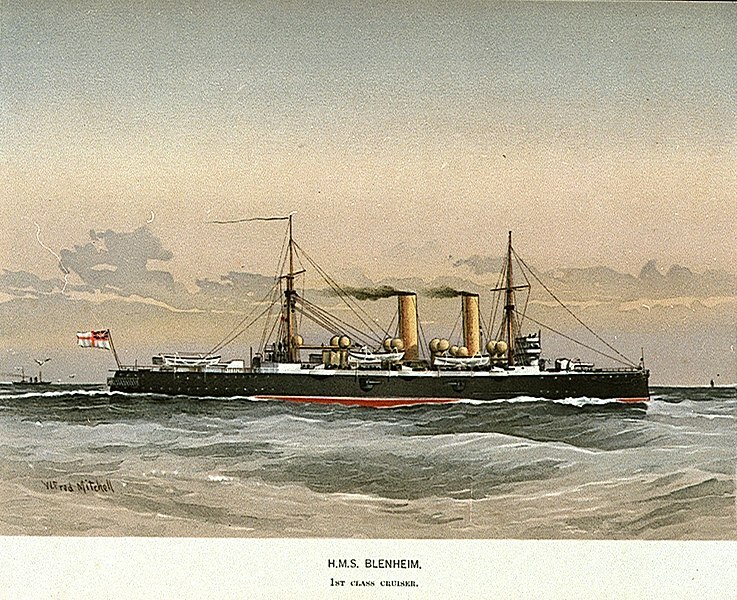 Blenheim was only commissioned in 1894. Blake became the flagship of NAWI station in 1892-95, then the Channel fleet until 1898 while Bleinheim, which also served there was versed to the China station in 1901 until 1904. 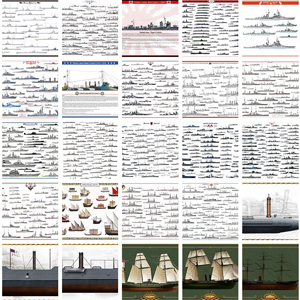 In 1907 both ships were considered obsolete and partially disarmed to be converted as depot ships. Despite of this HMS Blenheim had the more active career, supporting the Mediterranean Expeditionary Force at the Battle of Gallipoli and carrying back home Prince Henry of Battenberg, former Canadian Prime Ministers Sir John Thompson and Sir Charles Tupper. Blake was sold for scrap in 1922and Bleinheim in 1925.